Lauren Dreifus focuses her practice on commercial and civil litigation. She has participated in several trials and numerous settlement negotiations. Lauren is committed to finding the best, most cost-effective resolution for her clients whether through settlement or active litigation. She also has experience with drafting pleadings, motion practice, written and oral discovery, post-trial briefing, and appeals. Lauren has prior experience in divorce and custody litigation. Lauren graduated from DePaul University College of Law. While in law school, Lauren externed for Judge William Boyd of the Circuit Court of Cook County. 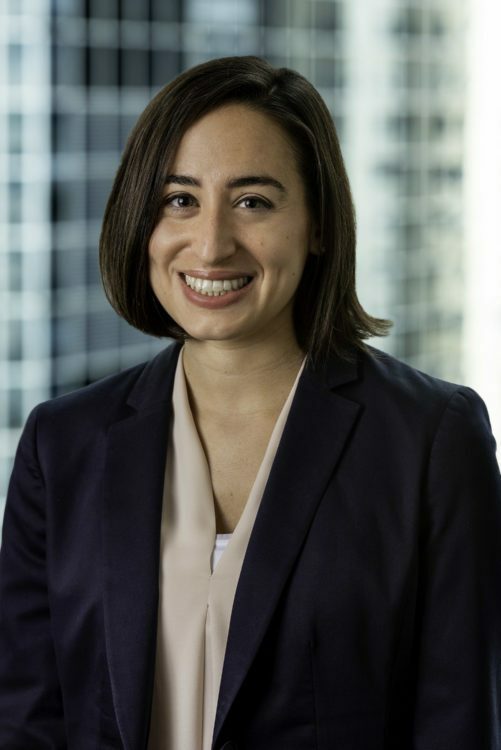 During this time, Lauren also worked in child advocacy at the Cook County Office of the Public Guardian and DePaul University’s Special Education Legal Clinic in addition to assisting victims of domestic violence obtain civil restraining orders. Represented and counseled clients through all stages of litigation from the initial filing to the ultimate trial or settlement. Participated in numerous settlement negotiations under a variety of circumstances. Conducted comprehensive discovery on complex financial matters, including competing business valuations and forensic accountings. Prepared clients for testimony both at depositions and at trial. Participated in motion practice before the First District Appellate Court and drafted responsive appellate brief.